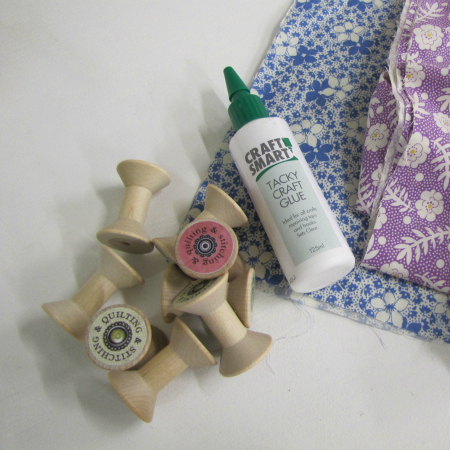 I love wooden sewing spools as they instantly add the cute factor to any craft room. 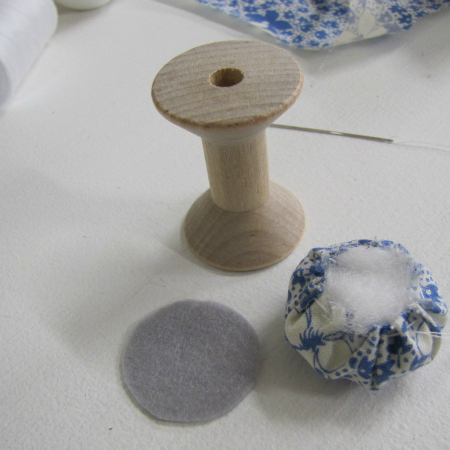 Today I had a play with adding a simple pincushion top to the spools. 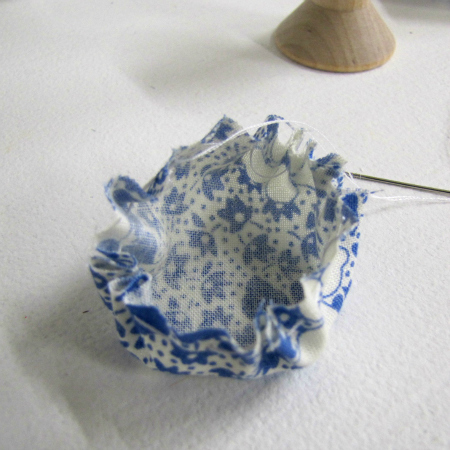 Great for using up scrap pieces of fabric and they take very little time to do. 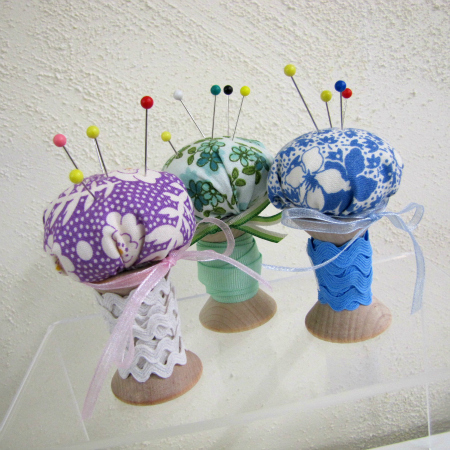 Add some pretty trim and you have a great, inexpensive gift for that hard to buy for friend. 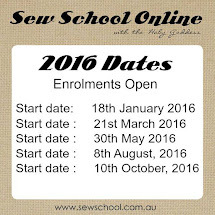 Or do a set for and yourself have all your trims, pins and embroidery threads organised in no time. 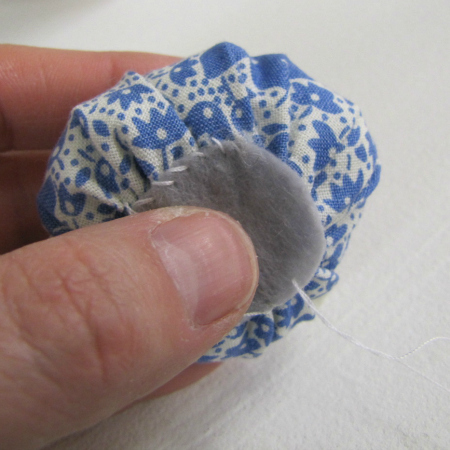 Cut a rough circle of fabric similar to the proportion shown above. 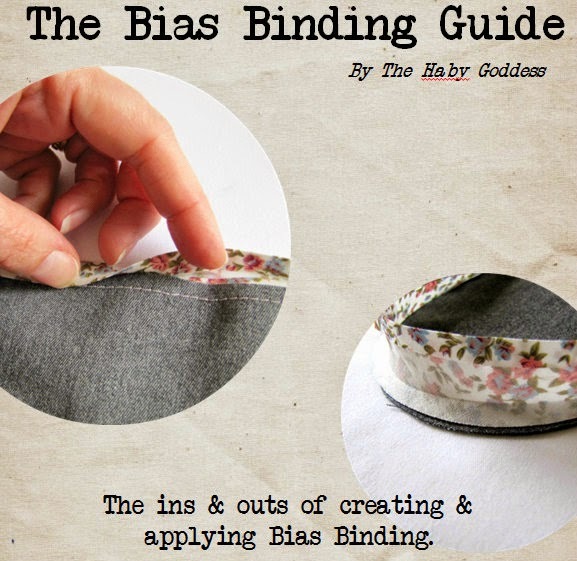 Add a running stitch around the outside of the fabric circle. 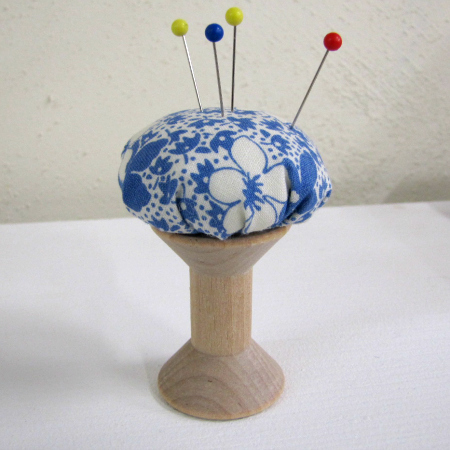 Add stuffing and draw your circle closed tight. 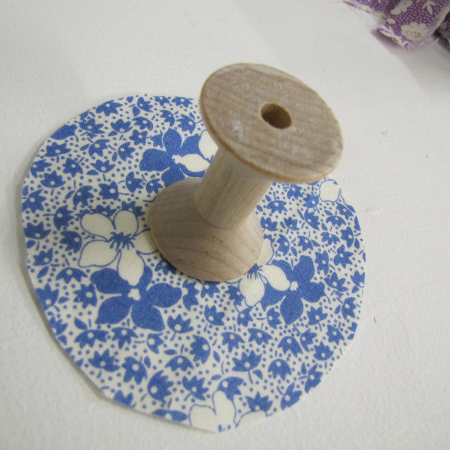 Cut a piece of felt a bit smaller than the top of your wooden spool. 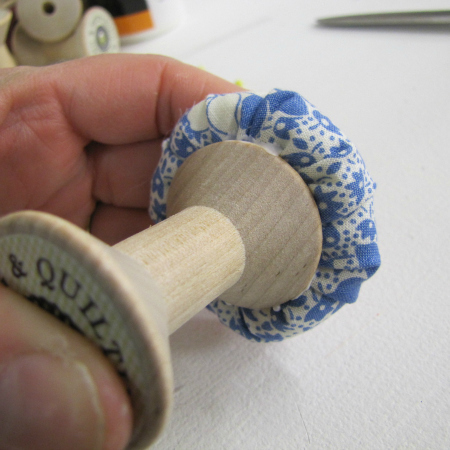 Add a generous amount of glue to the felt base and press to the wooden spool. You may need to hold it for a minute or two until it holds.